Provide comfort for the family of Sean Casey with a meaningful gesture of sympathy. Sean Casey, a highly regarded Albany public affairs counselor known for the sharpness of his intellect, wit, and counsel to family, friends, community members, and clients in business and government, passed away peacefully on March 15 in his home. Sean, 57, was a lifelong resident of the Town of Hoosick. He had a unique and engaging approach to life. At the time of his death, Sean was a senior strategist in the Albany office of Mower, a full-service communications agency. Sean was recognized as a communications sage who knew how to get results for people – and have a good time doing it. A typical work day included strategy development and client counsel on a variety of issues, including more than a few crises so bizarre that novelists would blush to dream them up. He also was a canny political strategist who routinely met with political leaders and staff and those running for office or considering it, each of whom sought and valued Sean's insights on their ideas and aspirations. With the same energy and creativity he used honing solutions to sticky problems, he planned his lunches. He was an enthusiast for good food, so his ventures for lunch avoided the nearest sandwich shop in favor of establishments locals knew as the best. On these trips to Cardona’s in Albany, DeFazio’s in Troy, or Perreca’s in Schenectady, an initial mission to get a sandwich would inevitably be abandoned, with Sean instead purchasing enough for the entire office to eat for a week. He was an avid reader and a devoted student of popular culture. He loved The Sopranos and regularly recited long excerpts from episodes of Seinfeld. He also loved mafia history, show tunes, chicken parm from Amo La Bella, and conspiracies. In fact, he would likely suggest this very obituary is part of some vast coverup we haven’t heard the details about yet. Sean was an avid outdoorsman who enjoyed hunting and fishing. He was a cat lover who cared deeply for his feline companions despite making frequent jokes at their expense. But first and foremost, he enjoyed people. A quick-witted and fascinating conversationalist, he savored nothing more than meals with his family and visits with friends, who are too plentiful and scattered to count. Sean graduated from Hoosick Falls Central School in 1979 and from Utica College in 1983 with a bachelor’s degree in public relations/journalism. His first job after college was at the New York State Assembly, where he served as Regional Coordinator of the Operations Committee and special assistant to the Developmental Disabilities Planning Council. Dubbed by some a political wunderkind, Sean was elected at the age of 29 as Supervisor of the Town of Hoosick, where he served one term. His first day on the job, working in a rented office in an old downtown storefront, he coordinated the response to a devastating blizzard. On his last day, he was in the more pleasant environment of the Hoosick Falls Armory, having negotiated for the space with New York State. Town offices are still located there today. Sean transitioned into a position in Rensselaer County government, serving as Chief of Staff to the Democratic Caucus. In 2000, he joined the Albany public relations firm of Sawchuk Brown, which combined with Mower in 2010. Sean had particular expertise in healthcare, energy, education, public policy, and community engagement. He was a regular speaker and trainer on crisis communications and messaging strategy. Most of all, he was recognized for smart thinking, sharp wit, and split-second, off-the-cuff jokes. Active in his community, he was a long-time member of the Southwestern Vermont Medical Center Board of Directors and a past board member of the Capital District Multiple Sclerosis Society and the Capital District Renewal Planning Commission. He supported numerous other community organizations with his time and talent. Sean is survived by his stepmother Mary Casey of Bennington, VT, three siblings, Dennis and his wife Margaret of Hoosick Falls, Mary Jane Wilkie of Bennington, VT, and David and his wife Doris of Copper Canyon, TX, as well as three step-sisters, Teresa Lassor, Joann Brahan, and Maureen Wilt. He also leaves behind seven cherished nephews and nieces, as well as several great nieces and nephews and a mountain of in-laws. He was predeceased by his parents, Catherine Alice (Bates) Casey and James D. Casey, as well as a step-brother, Ron Brahan. A celebration of Sean’s life will be held at 11 am on Saturday, March 23, 2019 at the Hoosick Falls Armory, 80 Church Street in Hoosick Falls. All are welcome. Burial will be private at the convenience of the family. Arrangements are under the care of Mahar Funeral Home, 43 Main Street, Hoosick Falls, NY. In lieu of flowers, donations may be made to the SVHC Foundation or the National Multiple Sclerosis Society, through the funeral home. 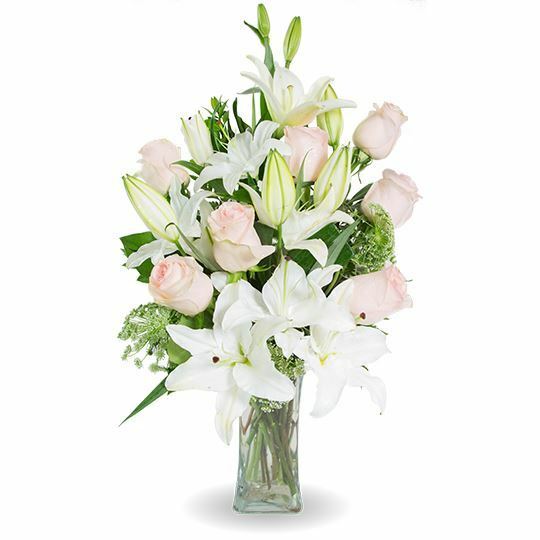 To send flowers in memory of Sean Lincoln Casey, please visit our Heartfelt Sympathies Store. Matthew Maguire sent flowers to the family of Sean Lincoln Casey. My heartfelt condolences to Sean's family. I worked with him for more than 12 years at Sawchuk Brown, and he was a very special person. He was so warm and caring, so bright and so politically astute. He never complained about his illness, and demonstrated a positive outlook on life. When he was working with clients on sensitive issues, he kept their confidentiality completely and was available to them 24/7. Sean took his work very seriously and, in his free time, worked to teach doctors how to improve communications with patients. He had a dry sense of humor and his comments often made me roll my eyes. His take on things was often unique. There really is no one in this world quite like Sean. I will miss him very much. I was privileged to work with Sean during his time with Rensselaer County Government and now retired, I often think back on those years and mentally give him and Marilyn Douglas, Democratic Chair at that time credit for my lengthy career in County Government. They were somewhat politically turbulent times and we were on opposite sides of the political fence, yet they moved behind the scenes to facilitate my confirmation as a Department Head. Sean moved on to other career pursuits and we lost touch and although I am saddened by his passing it is heartwarming to see how successful he became and still maintained his close ties with his beloved Family and of course his home Town of Hoosick. To his Family I express my deepest condolences. Unfortunately I cannot attend his celebration of life tomorrow, but I will mentally be thinking of Sean and his Family. God Bless them all! With heartfelt condolences from Sean's friends at National Heritage Academies. Matthew Maguire purchased flowers for the family of Sean Casey. My sincere condolences to the Casey family on the passing of Sean. I knew Sean in the 1960s and early 1970s as his brother Dave was a good friend of mine. Having moved away, I was unaware of his many accomplishments in life. His story of what he did over the years is simply amazing and certainly makes for interesting reading. Sincere condolences to all of Sean's family. Hoosick Falls lost a great one way too early. Sean was one of the best friends a kid could have growing up in HF. He was kind to everyone, witty beyond his years and a true "Renaissance Man" before the term was invented. He loved the symphony before any of us knew what that was, was a registered Democrat probably by the 4th grade, taught me how to shoot a shotgun on the tracks of North Hoosick, and stood up with me at my wedding.. Played a mean baritone as well! Everyone whose lives were fortunate enough to be touched by Sean, whether many years ago, or in recent times, will miss him.